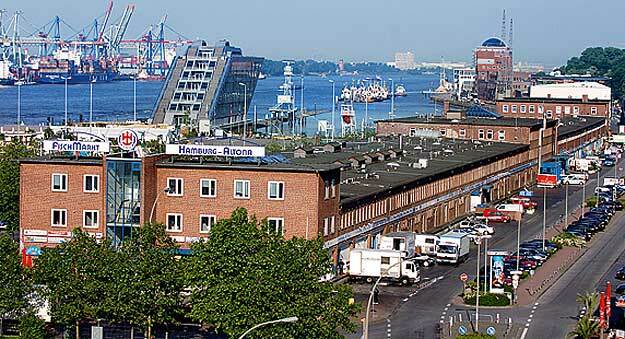 Located inside the harbor area, the Hamburg Fish Market offers see goods freshly shipped from all over the world. Here you can find sorts of fish meat, your local vendor surely doesn’t sell. And not just fish - here varieties of exotic products are traded. Every Sunday between 05:00 and 09:30 in the morning, this flea market opens for customers and it has been like that since the 18th century. Getting to the Hamburg port is easy, using subway. The exact address of the Hamburg Fish Market is Grose Elbstrase 9, Hamburg. The prices depend on the items and the vendor, but compared to the other markets in the city are cheaper. Hamburger Kunsthalle museum of art is the cultural center of Hamburg. The museum complex consists of three buildings of different age.